Jim said: "I attended one of your programs at the (FMCA) Redmond rally. It was most interesting, and it convinced me that you may be the one person who has the background to identify the cause of my issue. I’ve shown the photos to about 4 different dealers of Goodyear RV tire dealers and I’ve gotten 4 different answers. I’ve also sketched the phenomena for the service manager at Josam alignment in Orlando, and he says it’s just typical of Goodyear tires, with no way to correct the situation. It’s also been identified as “rivering,” which has been the subject of numerous posts on RV forums. My coach is a 2011 34’ Newmar Ventana, on a Freightliner chassis. I have had the coach weighed and, based on weight plus a safety factory, run them at about 85 PSI cold. The deeper wear groove at the first groove happens on both the inside and the outside of both front tires, but not on the rear duals. If you would be so kind as to respond with your thoughts it would be most appreciated. Summerfield, FL (but currently on the road)"
First I have to say, I wish everyone sending pictures of a tire condition took as good pictures as Jim did. Well lit and close enough to clearly see the condition in question.
" Jim, Glad you enjoyed the seminar. Yes that is classical "Rivering". This is not something that only happens to Goodyear tires but is also seen on other brands. Its also not seen on all Goodyears either. It is a combination of tread pattern (design) and the selection of components and materials for the tire specification and the suspension characteristics of the vehicle. We design engineers do work at avoiding it but it is something that doesn't normally show up in our accelerated testing early in the design process so sometimes we can not "fix" it. 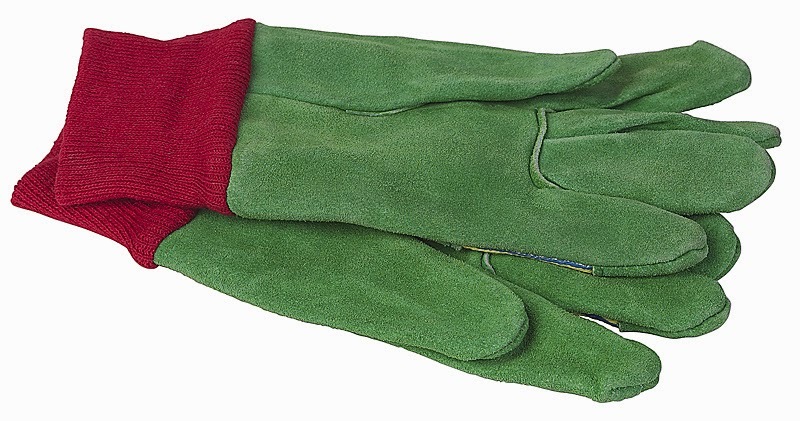 In my opinion, it is not a safety concern, but just a wear issue. The best thing you could do is to swap out the two fronts for one of the set of duals. Now you do need to confirm the OD of the two tires going on as a set of duals is within 1/4". The best way to confirm that is to measure the Outside Circumference while fully inflated and confirm the OC is within 3/4" of each other. Do the measurement before any tire dismounting is done to save $. I don't know what wheels you have and sometimes you need to swap wheels sometimes not when moving from front to back. I did a post or two on my blog and even a YouTube video on RVTravel channel on the topic and importance of matching duals. Just select from the list of "labels" displayed on the right side of my blog page for all the posts concerning DUALS. Normally "Big Rigs" do not need tire rotation but this is one of the few times it is the correct course of action. If you live in or travel through Oregon you can check the load on each axle and even get an approximation on your individual corner weights. I did this myself last week. There are many truck scales across the state that are open and the electronic scale are left on after hours. You simply drive onto the pad and read the total load for that axle on the display panel located on a post about 40' ahead of you. Now if there are no trucks using the scale you may be able to simply swing around or back up and get just the right side tire loads for each axle. With those figures its easy to subtract and get the approximate load on the left side positions. See it in this picture where I am getting the weight on my Right Rear duals. I say "approximate" as unlike the scale set-up used by RVSEF there will be a slight tilt away from the scale pad but I would think you should be within a couple percent of the actual side-to-side load distribution. I am pretty confident that most of you will have figures that are closer to the actual side-to-side weight distribution than just assuming you have a 50/50 side-to-side split on each axle. With the individual corner loading you can then use the published Load/Inflation tables from your tire manufacturer company to learn the MINIMUM inflation you need based on the heavy side loads. Then simply add 10% to that inflation number for your "inflation margin" and you should be good to go. At least till you get on real, properly set-up individual RV corner weight scales. Now I admit I do not know which other states provide this safety service to motorists, truck and RV owners, but for folks on the far west coast this is a great deal, at least till you are able to get the actual corner weights of your RV, or individual tire loads for trailers, confirmed by RVSEF. This post relates to Motorized RVs NOT Towables. Trailers have SPECIAL considerations for setting the inflation that I cover in THIS post. Got an email the other day asking about inspecting tires. This blog and many others will tell you that you should do a thorough inspection annually and doing the inspection becomes more important as times goes on. The problem is, few know even the basics of proper tire inspection. For some it's only looking at the tread to be sure there is some tread pattern available. Others will bend at the waist and look at one sidewall to inspect for large cracks. will not do.I know that many have disposable thin, Latex or Nitrile gloves they use when handling their holding tank hose and that type or similar will work fine to help keeping your hands cleaner as tires are very dirty and rubbing your fingers across the sidewall will transfer oils, waxes, dust and dirt to your fingers. Finally don't forget safety glasses. Dirt can drop from under the RV onto your face or when you are removing objects from the tread they can pop out and hit you. We need to be consistent and thorough in our inspection as we need to cover 100% of both sidewalls and 100% of the tread. 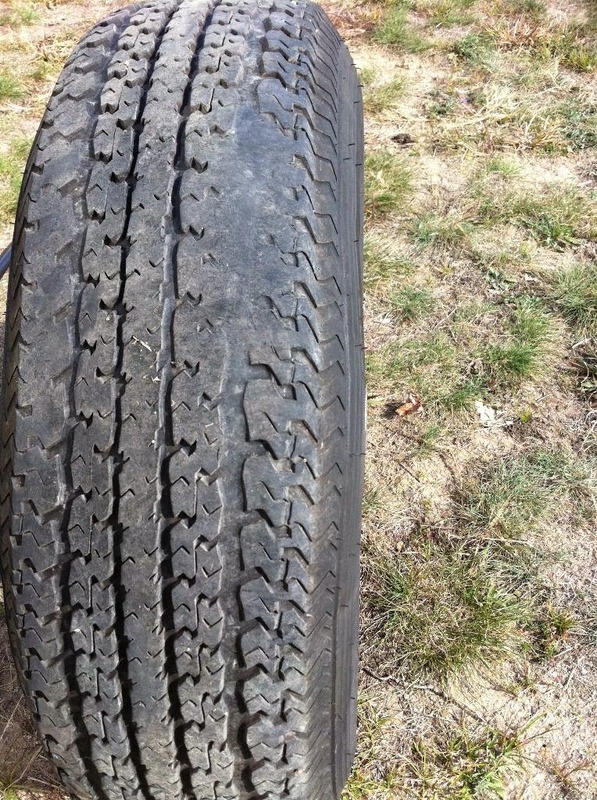 This also means that after you have inspected all your tires you will need to move the RV a couple of feet so the portion of the tread that was on the ground can be seen. 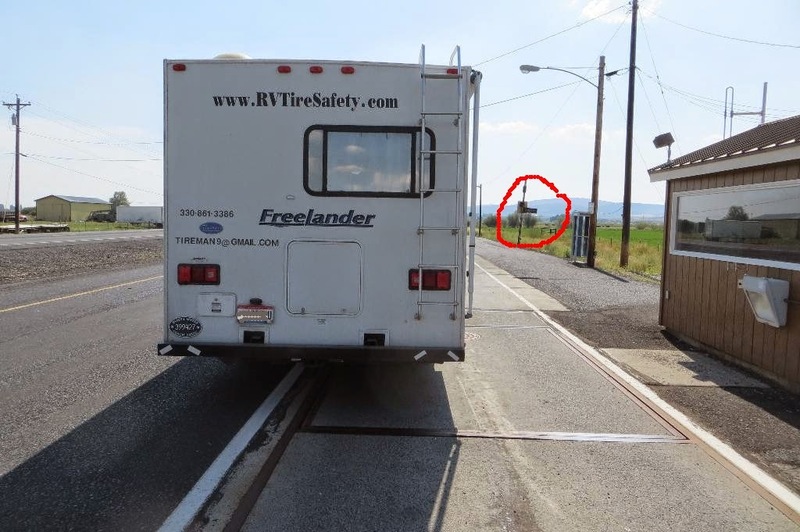 Depending on your RV, there may also be areas on the inside sidewall where the tire is too close to the frame or other component which prevents a clear view of that part of the tire and this may require a couple of small moves. When going under your RV be sure the engine is off, the transmission is in Park and you have blocked the wheels from moving either direction. The following applies to all tires. If you have a towable there are some extra steps you NEED to do and we will cover them later. 1. Tread. You are looking for nails, screws and other items lodged in the tire. Sometimes you will find rocks wedged in parts of the tread pattern. It doesn't hurt to remove them using a screwdriver as sometimes stones can "drill" into a tire causing damage. I would not use a knife or other sharp tool. 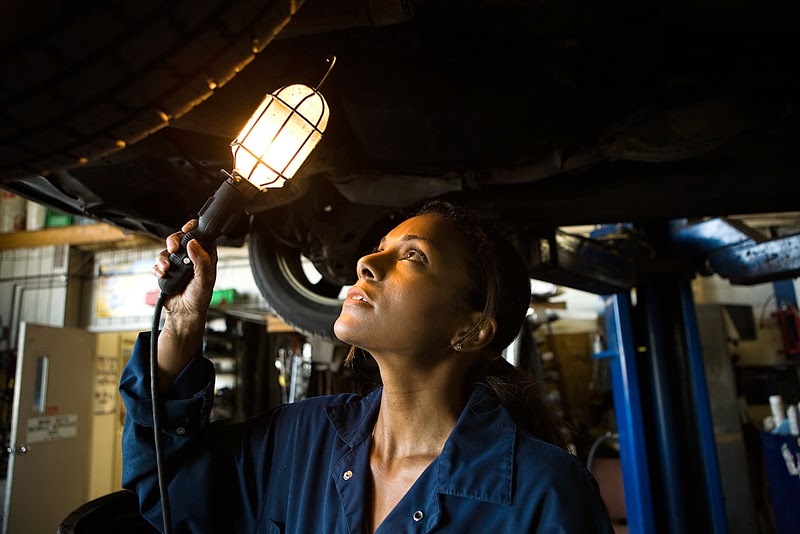 If you find a nail or screw in the tread, it is possible that the object goes all they way into the air chamber and if removed may cause an air loss. If for example you find a screw you might start to remove it but if you get more than 1/4 to 1/2" loose and the screw is still in the tire I would screw it back in and seek service as you don't want to lose air by completely removing the screw if you are not a a location where your tire can be easily be changed. Making this decision takes some thought to avoid making the problem worse. or it may not be serious and is just cosmetic. 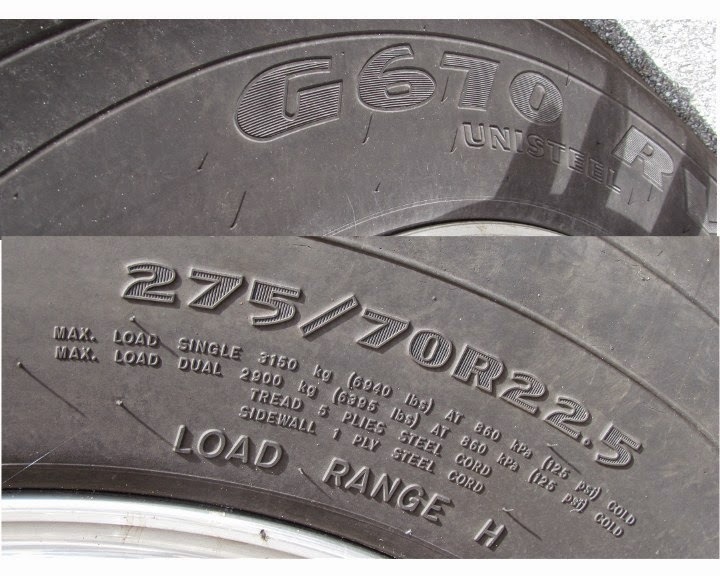 If you see some localized wear and want it looked at by a tire dealer it helps if you make a notation using the letters and numbers on the sidewall for reference. An example might be "Local wear on Right Front, inside shoulder of tread, starting at number 3 clockwise to letter G". Giving a dealer this guidance will do two things. One it will save them time in locating the area of concern and two it will let them know you have done a thorough job of inspecting tires so they are less likely to ignore you and more likely to treat you as a knowledgeable customer that knows something about tires. This is a lot better than telling the dealer "The tread on the front tire looks strange". While we are still looking at the tread we also want to note for more detailed inspection any cuts that are deeper than 1/16" in the grooves. 2. Sidewalls: This applies to both inner and outer sidewall. First do a general inspection for cuts or punctures. 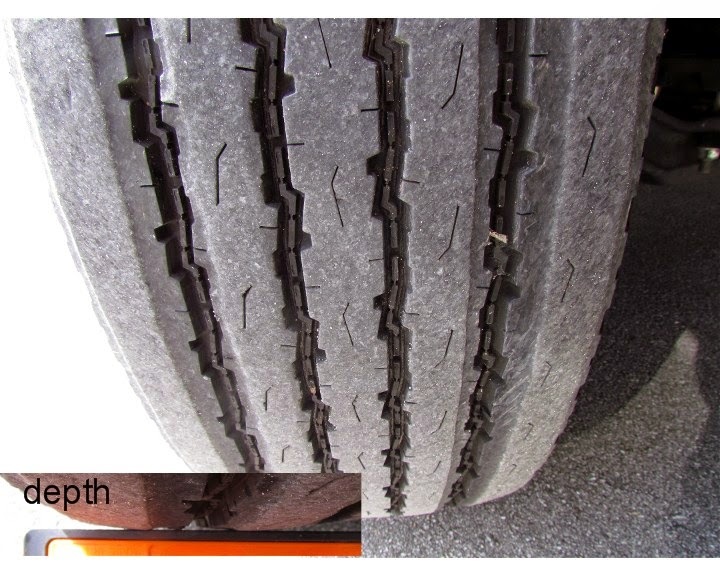 Punctures in the edge of the tread and down to the wheel should NOT BE REPAIRED. Some people may claim to have done a satisfactory sidewall repair but there is just too much flexing for a repair to last. There are published GUIDES that show the only location (in the tread) where a repair is acceptable. This applies to ALL BRANDS of tires. Any cut where the body cord is visible means the tire is scrap and should not be used. Next we want to find bulges. You want to feel for bumps and bulges using your fingertips and gently slide around the complete surface of both sidewalls of the tire. If the frame prevents this then you need to identify where you could not feel the sidewall so you can finish that part of the sidewall after moving the RV. Bulges can be a sign of broken body cord. I recently did a POST on broken body cord on one of my personal tires. and ask a dealer to confirm. carcass and in extreme cases a rapid loss of air when the belt separates. TPMS will not provide warning of a tread separation so the only tool available to RV owners is a thorough visual inspection. seen in THIS video. At the beginning you see that the wheel is round and shows no side to side movement. Then we see the tire as it wobbles side to side and even is out of round. This tire has failed and must be replaced at once. Here you can see when I did an "autopsy"
we discovered the belts are almost completely separated on this tire. To do a "free spin" you must get the tire up in the air so it rotates freely. Thus can be done with a jack or even one of the ramps that will raise one side of the trailer high enough as seen in THIS video. This is just one example. As you can see there is some work involved but doing a thorough inspection may prevent serious problems later on down the road. You will also find that after doing a few tires you will become more knowledgeable about this important safety item on your RV. your tires.